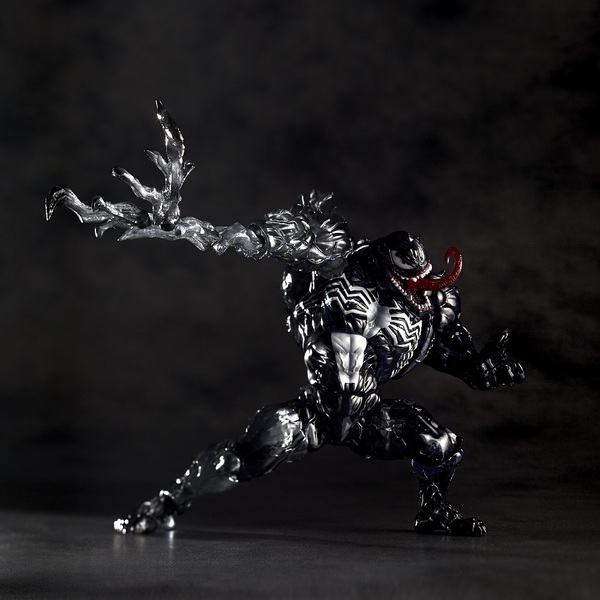 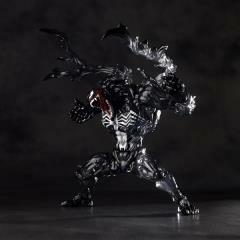 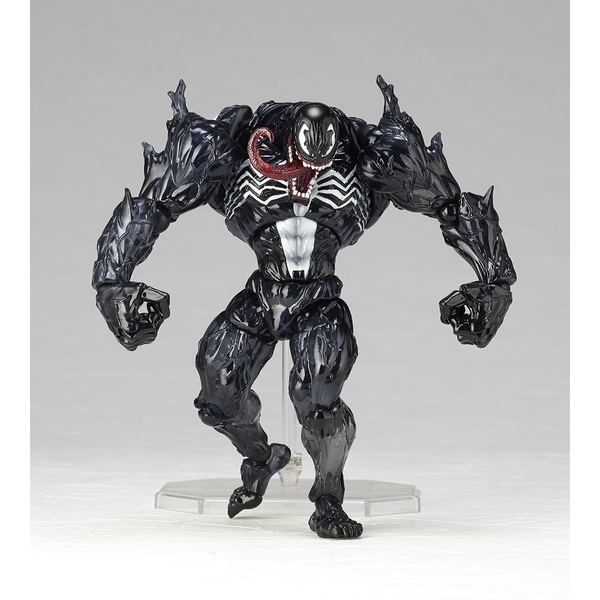 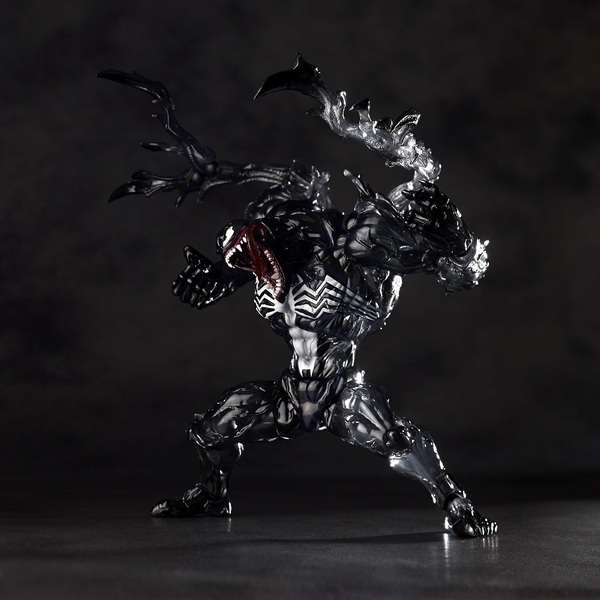 Kaiyodo presents the incredible Revoltech Amecomic Yamaguchi Venom! 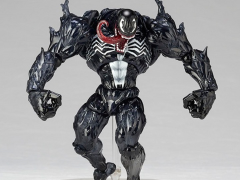 This menacing villain stands 6.9 inches of beefy, brawny badassery! 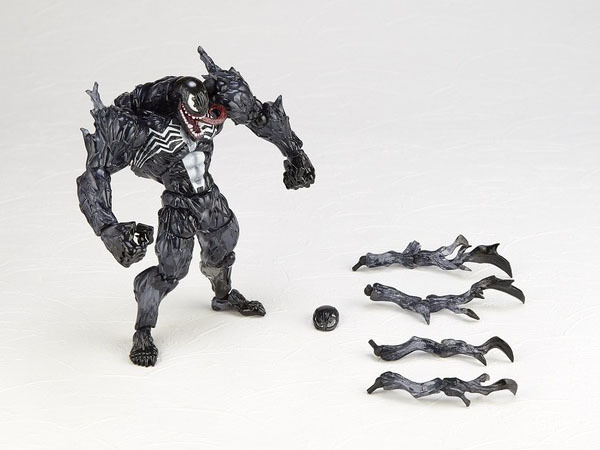 He's fully poseable featuring a whopping 47 points of articulation to wreak all kinds of havoc, and includes 4 attachable tendrils of evil black goop. 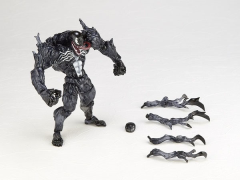 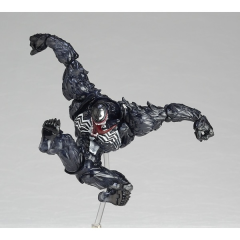 Pose this incredible Venom figure on his stand for an awesome fight scene with the Revoltech Spider-Man! 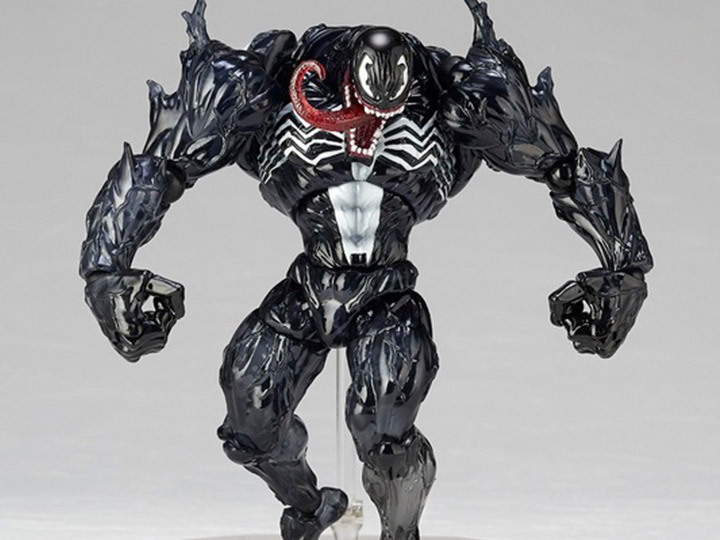 This import exclusive version of Venom features special coloring.